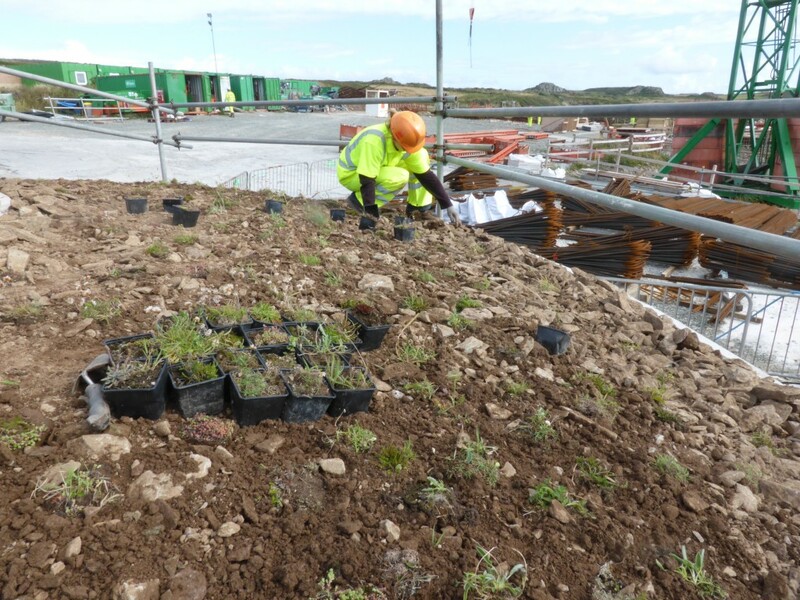 We offer ‘plug plants’ for green roofs in west Wales. 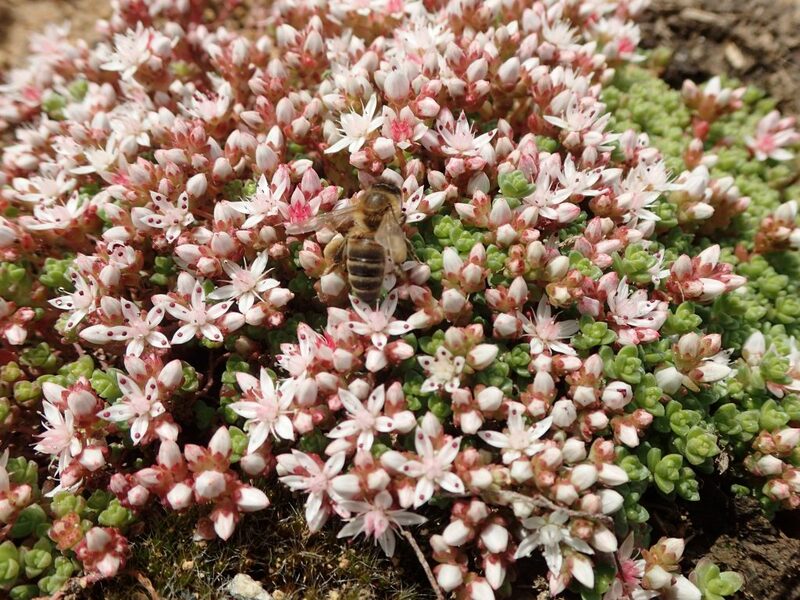 The Sedum roof is now a well established idea but the major suppliers of planting material are focussing on the supply of non-native Sedums (stonecrops). These provide a diversity of colour, but are perhaps better suited to urban situations than to the more natural environments of rural Wales. Several of these non-native plants behave as ‘invasives’ and have already started to muscle-in on sensitive habitats, displacing native plants in the process. As an alternative, we have available native Pembrokeshire coastal and heathland plants, in conjunction with an award winning conservation scheme at Trehill Farm, Marloes. These will be ideally suited to green roof projects within the Pembrokeshire Coast National Park, and would also be potentially suitable to rockeries or other gardening projects in exposed locations. Supplied in 4″ pots, each pot with at least one plant. 60 or more pots delivered free within Pembrokeshire. Quantity discounts available. We have practical experience of green roofing projects, and are happy to provide advice for your project. Planting and aftercare service also available, please contact us to discuss.